Congratulations to WeDO members Carbon Financial Partners, founded by Gordon Wilson, who have picked up another top UK award. The?leading independent financial planning and investment advice firm?was?honoured in the national Gold Standard Awards. 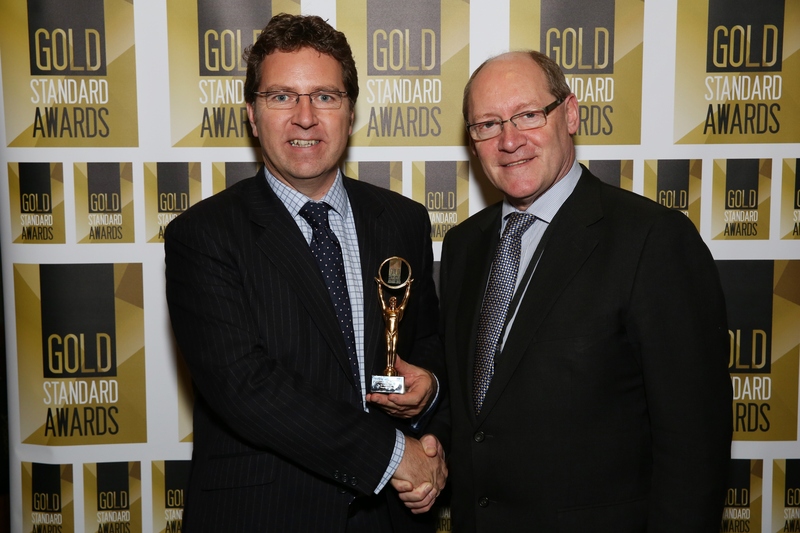 Carbon?won the Incisive Media Gold Standard for Independent Financial Advice. “This is one of the toughest financial services awards to win. ?We were up against competition from all across the UK and are delighted with this honour. It reflects the team’s hard work. Now in their 11th year, the awards are designed to identify companies in the UK financial services sector that have strong structures and procedures in place, as well as going above and beyond standard business practices to promote trust in the sector. ?We are at a crossroads in terms of how financial services in the UK will look in the future. ?Groups achieving the Gold Standard level bear testament to how far down the road some?are in successfully embracing the monumental changes they face. And, while only forward-thinking groups with robust structures already in place have the capacity to cope with these changes, the fact we are seeing continual improvements as well as some relatively new groups emerge from a position of strength with a new and fresh offering bodes really well for the future of financial services.? Carbon?was recently?officially recognised as one of the top chartered financial planning firms in the UK at the Personal Finance Society?Conference?in Birmingham. It was one of only four finalists in contention?for the?Chartered Financial Planners of the Year Award (Corporate). Another?highlight of 2013?was being named Investment Adviser of the Year in the Professional Adviser Awards held in London. One of Carbon’s?chartered financial planners, Paul Gibson, continues to gain national recognition. He was recently a runner-up in the Inheritance Tax Planner of the Year category of the FT Money Management Financial Planner Awards. With offices in Perth,?Edinburgh, Glasgow?and Aberdeen, Carbon are well-placed to service the needs of their clients throughout Scotland. ?Congratulations to Gordon and all the team at Carbon.